MIAMI (AP) — A majority of NBA ownership groups reached Tuesday by The Associated Press say they will vote to force embattled Los Angeles Clippers owner Donald Sterling to sell his club. NBA Commissioner Adam Silver wants Sterling to sell as part of the extremely stiff series of sanctions brought against the league's longest-tenured owner in response to racist comments. Silver banned Sterling for life, fined him $2.5 million and said he will press the other teams in the NBA to support his desire to make Sterling sell. Within minutes of Silver announcing the sanctions in New York, most of the clubs in the league — including the Clippers — put out statements supporting the league's moves. "The Commissioner was correct to ban Mr. Sterling from all official NBA business, to levy the stiffest allowable fine, and we will support his recommendation to press for Mr. Sterling to relinquish his ownership of the Los Angeles Clippers franchise," read a statement from Bulls chairman Jerry Reinsdorf and team president Michael Reinsdorf. 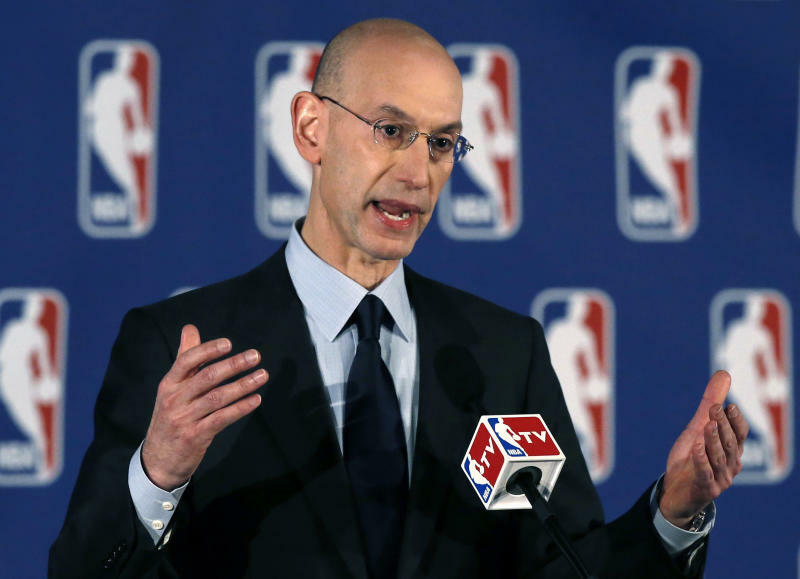 "We believe Commissioner Silver's decision reflects the best interests of the NBA and public civility." Fox News reported that Sterling said Tuesday he has no plans to sell the club. Under NBA rules, the league will have to present Sterling with some sort of notice announcing that it intends to seek the termination of his ownership, and give him an opportunity to respond. At some point, the league's Board of Governors would then be called, presumably for a vote. "We are whole-heartedly behind Adam's recommendation and plan to vote accordingly," Orlando Magic chairman Dan DeVos said.